Mr Hari Karki is the full-time accountant and administration officer for Firefly. Having faithfully worked for Firefly for over a decade, Hari knows all the children well and takes an interest in their welfare, as well as keeping a transparent and tight record on all transactions and monthly reporting. 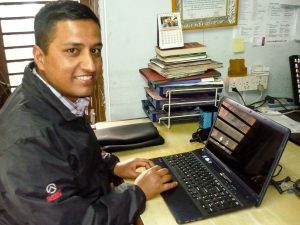 Hari lives in Kathmandu, Nepal and speaks fluent English. His calm manner, reliability and trustworthiness make him a true asset to our orphanage.